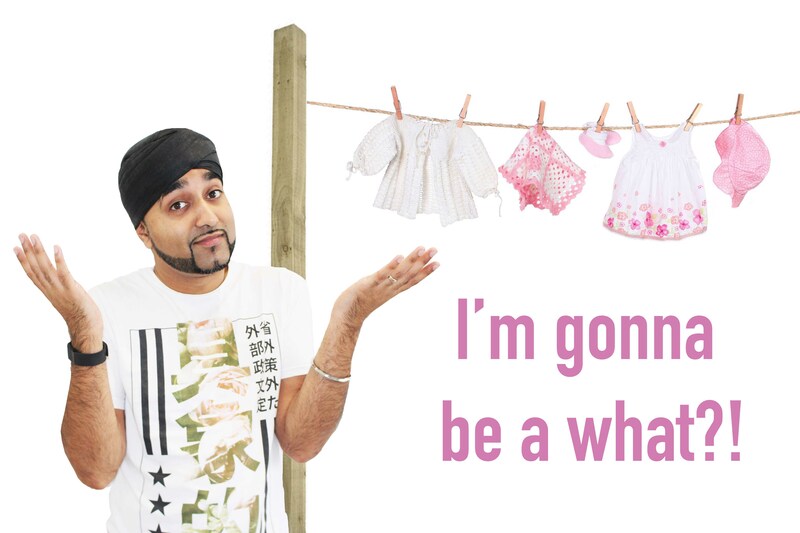 I’m gonna be a what?! In my sleepy stupor it took me 10 seconds to work out what she was talking about. In that time I realized she had taken another pregnancy test… one of 20, which, in fact I bought off of eBay for about £2.20. Call me a cheapskate but I wasn’t about to spend £25.00 on a pack of plastic sticks you have to pee on. And despite the cut-price kit, it had come up trumps! This litmus paper like device had just confirmed that we were pregnant! We had a little baby en route! There would be a third factor to our equation! She was to be Mum! I was to be a Dad! My first reaction was mild shock, mixed with disbelief. “Try another one!” I insisted. The second one was positive too. I was over the moon! The questions started coming thick and fast. How far along are we? Do you think its a boy or girl? Names? Décor? Which bedroom? Do we tell anyone?! A trip to the Doctor was in order within 3 hours, which was surreal. We asked if the Doc wanted her to take a test to be sure, but he just sort of took our word for it. We were confirmed as being 6 weeks pregnant. To cut a long story short, we told my parents straight away as the good news was well timed and they needed a pick me up immediately following my lovely grandmas passing two days before. Once my parents were told, it was only right that we tell her parents and both sets of siblings, all of whom were super excited! That was exactly 20 weeks ago, and a million and one things have happened since. Our life plans have changed, points of view have been altered and new emotions and feelings have been experienced. I’ve seen some of the utter bat-shitness that surrounds child bearing, and I’ve been exposed to some of the truly wonderful elements of expecting your first. I thought I’d explore some of these things in the best way I know how. I decided to start writing, as I know how cathartic writing has been for me in the past, and seeing as I see so many Mummy blogs and forums, I thought I’d give the fathers of the world a place to click around, read the perspectives of a soon-to-be-Dad. Feel free to watch me slowly lose my sense of reality, and usher in a new era of nappies, night feeds and no sleep. I’m a man that lives a somewhat unconventional existence, and I reckon I’m up for this. P.S – I cant wait to review Star Wars toys and other random things my wife reckons I should have grown out of by now!! !